Today both consumers and entrepreneurs are in an increasingly fractured social scenario in which the information content begins to be difficult to find or to distinguish from that which have a commercial or advertising nature. Taking into account all this the “content curation” every day acquires a greater relevance within the social media strategies, between those companies and brands that add to the tendency to share, betting on offering a variety of relevant, quality resources and interest for its own users, fans and followers. Most of the companies with presence in social networks are currently searching, filtering and sharing content. According to a report by the company Curata, 95% of companies and agencies had resorted to this type of strategy during the last six months. The report also shows how 85% of respondents believe that the main objective of this type of content is to establish the leadership of the company in certain sectors or thematic areas. 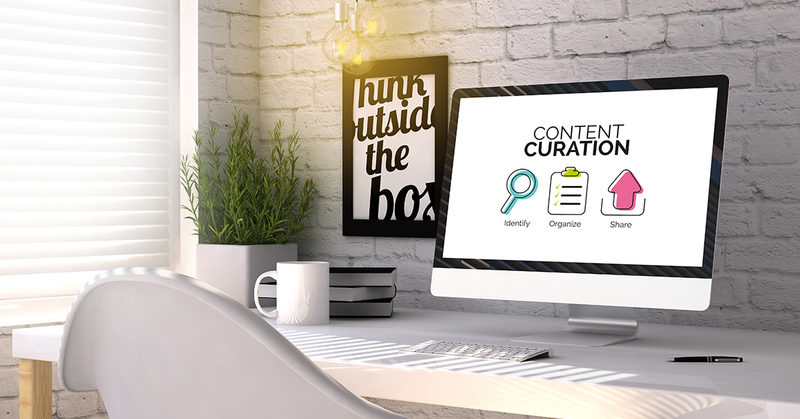 80% of respondents believe that content curation can help their businesses increase the visibility of the brand in different channels and social media. As this new study shows, the importance of Content curation “has increased from one year to the next, and also its main objectives. The idea of ​​improving the company’s leadership has gone from 79% to 85% while that of gaining visibility has also increased in importance, from 76% to 80%. In third place is the objective of achieving a better positioning in search engines or SEO positioning, which is the percentage that has increased the most in proportion, from 48% to 65%. The main difficulty that companies face when it comes to offering these quality content is time. Three quarters of respondents say they do not have enough time to do so, since more than half of them say they manually search for the appropriate content for their websites. For 73% of respondents the biggest challenge is to create original content to be shared. In third place, with 56%, is finding and offering quality content. Thus, social networks are being considered the ideal platform to share these contents, 76% of companies claim to use them as the main channel to distribute their information. But, as we have already said, when we speak of “content curator” it is not simply about distributing content but about doing it on a regular basis, and that it is a quality content that interests both consumers and to keep them engaged with the brand.